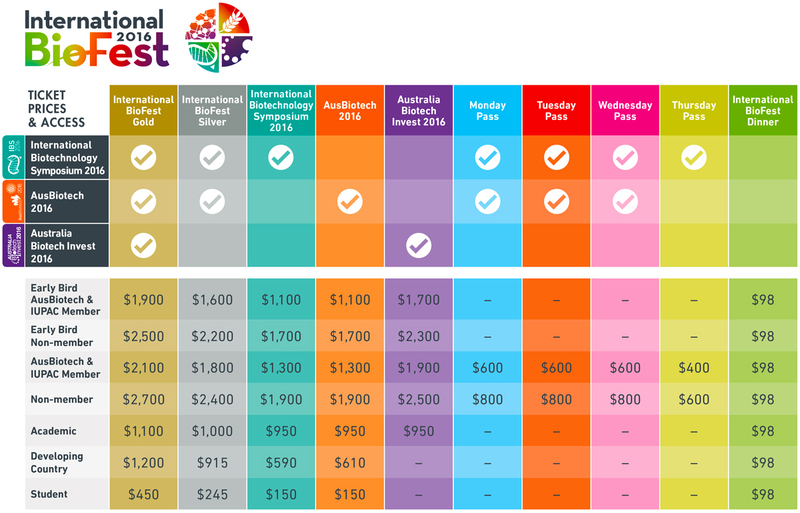 Registration for the International BioFest includes options to attend all three events or the IBS 2016 and AusBiotech 2016, or just one of the weeks events. Day passes are also available. Registration will open shortly with early-bird rates closing on 15 July 2016, after which the standard rate will apply.